Publisher's summary: Four months after Ben disappeared through the portal to his home universe, Janelle believes she’ll never see him again. Her world is still devastated, but life is finally starting to resume some kind of normalcy. Until Interverse Agent Taylor Barclay shows up. Somebody from an alternate universe is running a human trafficking ring, kidnapping people and selling them on different Earths—and Ben is the prime suspect. Now his family has been imprisoned and will be executed if Ben doesn’t turn himself over within five days. 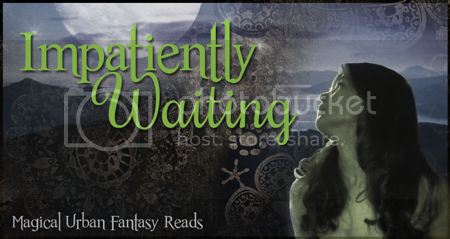 Waiting on Wednesday is hosted by Jill at Breaking the Spine. I like how there is now a fourth person on the cover (my (hopefully accurate) memory of the first book only showed three people). I need to read that first book before I pick this one up! Haven't heard of this one! Sounds interesting! I haven't read the author's first book but...I plan to! <3 I've heard so many good things about her writing. Wow! I am loving that cover. I still need to read book one. Thanks for sharing! ρost is amazing, nice written and come with almost all significant infos. In fact no matteг if someone ԁoesn't be aware of after that its up to other users that they will assist, so here it takes place.